As investors anticipate rising interest rates ahead, investors may look to various ETF strategies that are designed for this kind of environment. The economic expansion is aging with many signs that are signaling potential monetary policy changes ahead. “We’ve got this big fiscal stimulus called the tax cut – just like out of the textbooks, it is about eight or nine years too late. We really are seeing yields on Treasuries come up, inflation coming up, labor markets tight, central banks shrinking their balance sheets,” Simeon Hyman, Head of Investment Strategy for ProShares, said at the Inside ETFs 2018 conference. Nevertheless, investors with a traditional portfolio mix don’t need to be too worried as there are now a number of ETF strategies designed to limit rising rate risks ahead. For instance, Hyman pointed to inverse Treasury bond ETFs that capitalize on rising rates or falling bond prices. 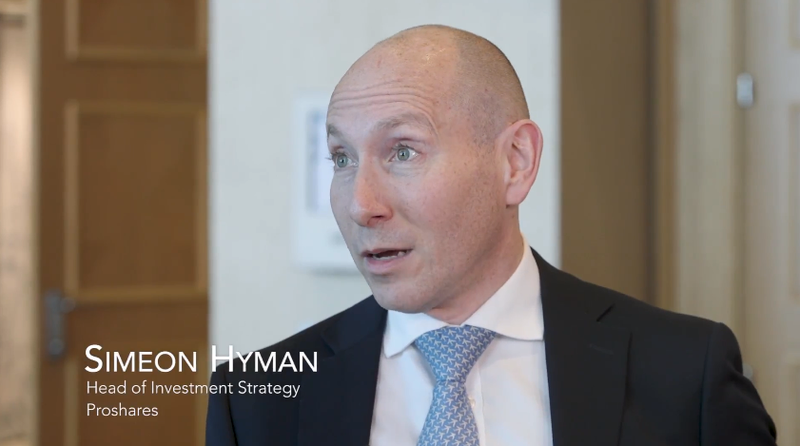 Inverse bond ETFs “give you the opportunity to create your own hedges, rotate the position when you think the rates are going to rise,” Hyman said.